Next week marks the release of Brandy’s fifth CD, simply entitled “Human”. One would guess that there is some insinuation that Brandy Norwood IS just human, especially with the drama that her life seems to have attracted over the past couple of years. Management changes, fatal car wrecks, less-than-successful releases (“Afrodisiac”)…turns out that not everything she touches turns to Gold. I root for her, though, because I feel like she attempts to grow as an artist, rather than just sticking to a single formula. As far as I’m concerned, Brandy really doesn’t get the respect she deserves. …which brings me to the video. The first half of “Distance” is simply beautiful. As I watched it, I thought “this is a great interpretation of the song”. Of course, the fact that the video impressed me that much means that I’m headed for a letdown, and I got it in spades. The video literally vomited all over itself, and just couldn’t recover from it. I promise you, if you watch the video, you’ll see what I mean. 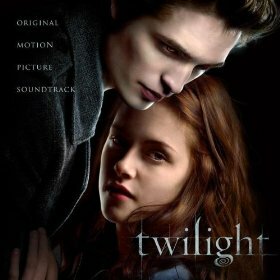 – The big news this week is the debut of the “Twilight” soundtrack at #1, matching the achievements of “Juno” and “Mamma Mia” to become this year’s third #1 soundtrack. Too bad, so sad for “High School Musical 3”, although I’m pretty sure they will sell more total units than “Twilight” once all is said and done. Paramore’s “Decode”, which appears on the soundtrack, debuts on the Hot 100 at #34. – Other debuts this week include Hinder at 4, Andrea Bocelli at 8, Brad Paisley at 9, Q-Tip at 11, and Sarah Brightman at #38, which leads several Holiday albums into the upper reaches of the chart. Faith Hill, Yo-Yo Ma, Harry Connick Jr, Amy Grant and Elvis are all looking for a piece of that fruitcake. 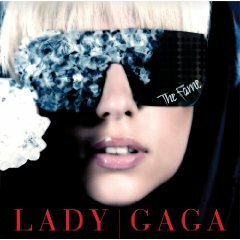 “The Fame” plummets from #17 to 52, but that’s nothing compared to the 18 – 80 drop that Bloc Party takes with “Intimacy”. – Pop Radio is about to say goodbye to P!nk and hello to Katy Perry at #1. “Hot N Cold” has the momentum, and looks poised to hold the top for a few weeks once it arrives. It’s only competition is T.I.’s “Whatever You Like”, but I don’t think that one will have enough juice to do the job. So look for “I’m Yours” (at #5) or “Live Your Life” (at #9, most increased plays this week) to hit the top next. Most added AGAIN this week is Lady GaGa’s “Just Dance”, which makes a 34 – 23 move, along with a 27 – 21 move on the Hot 100. This thing is turning into a MONSTER! Brandy also takes a big jump from 38 – 29, and David Cook debuts at #40. (Come on…I had to.) Top debut on the Hot 100 is Kanye’s “Heartless” mainly driven by the pre-orders for his new disc, dropping in two weeks, and “Love Lockdown” re-bullets at #13. – If it’s a recession, then AC/DC must be number one. The boys from Down Under pick up their biggest sales week of the Soundscan era, and also the second biggest week of the year (behind Lil Wayne’s “Tha Carter 3”), with almost 800,000 copies of “Black Ice”. My initial skepticism of Wal-Mart’s ability to generate huge numbers on exclusive deals is fully debunked now, after seeing what they’ve been able to do for AC/DC, the Eagles, and Garth Brooks. In addition, the rock veterans also move close to 100,000 copies of their back catalog. – In other album news, “High School Musical 3” does something that neither of its predecessors ever did: it debuts outside of #1. While it sells just shy of 300,000, that’s not quite enough this time around. Those kids have a #1 movie…what else could they want anyway? Someone who exceeds their previous best peak is Adele, who makes another strong jump from 46 to 11 with “19”. Her single “Chasing Pavements” is the top new entry on the Hot 100 at #82. In addition, the single climbs 19-17 on the Hot AC chart, and is one of the Most Added songs, with 8 new stations reporting airplay. Things are definitely looking up for Ms. Aerophobia making it here in the U.S. She has also rescheduled her tour here for the second half of January, and I have tickets to see her. She’s playing smaller theaters, but I have a feeling those shows will sell out pretty quickly. – Speaking of radio, Most Increased Plays and Most Added goes to Beyonce’s “If I Were A Boy”, which is at #19 in its second week. Fueled by the release of a digital single, the track also zooms up the Hot 100 to #3. In most circumstances, this would be an amazing achievement, but in today’s chart world, where we see songs jump from #96 to #1 in the span of a week, Beyonce’s jump is just okay. Other notable jumps include Jason Mraz, who re-enters the top 10 at #10, and Lady GaGa, whose “Just Dance” FINALLY looks like it may become a hit, taking a 10-point leap to #49. At Pop radio, Mr A-Z gains another 850 plays to come in at #9, and Ms Bowie-Mercury is most added, with 16 new stations reporting airplay this week. Colby O’Donis may not end up a one-hit wonder after all! I commented last month that GaGa’s radio strategy seemed odd and ill-timed, but I may have to eat my words on that one, too.